pharmaphorum’s Managing Editor, Rebecca Aris, interviews Jason Lovatt of Sanofi around Sanofi’s blood glucose monitor, iBGStar®, and the impact it has on diabetes patients. Monitoring blood glucose levels is an integral part of successful diabetes management for the 2.9 million people in the UK who are affected by diabetes. Mobile technology advances have the potential to improve healthcare delivery and help patients to manage their condition on-the-go. Jason Lovatt speaks with pharmaphorum about Sanofi’s innovative blood glucose monitor iBGStar® and the impact it will have on patients. RA: Jason, thank you for taking part in this interview. Could you please start by telling us about Sanofi’s iBGStar. JL: iBGStar® is a breakthrough new approach for people with diabetes taking insulin and it’s for those who want the latest, cutting-edge technology to manage their condition on-the-go. iBGStar is the first blood glucose monitor which attaches to the iPhone and iPod touch and uses advanced technology so it can meet the needs of people with diabetes in the 21st century. iBGStar comes with a free Diabetes Manager App which allows users to store, track and analyse additional diabetes information, which they can share with their healthcare professional and family members. iBGStar has already won the 2011 GOOD DESIGN® and red dot awards for its discreet and stylish design. RA: What impact do you think this will have on Diabetes management? JL: Diabetes affects 2.9 million people in the UK and accurate monitoring of blood glucose levels plays an integral part of diabetes management. Research reveals people with Type 1 and Type 2 diabetes who regularly self-monitor their blood glucose levels can achieve better glycaemic control. For people whose healthcare professional has advised glucose monitoring (particularly those using insulin), it is important to aim to achieve the best possible glycaemic control at all times. The consequences of failing to do so can result in hypoglycaemia (low blood glucose level) or hyperglycaemia (high blood glucose level) which can have a significant impact on health, including cognitive decline, weight gain and even death. To avoid these consequences, having an accurate idea of blood glucose levels is a key part of successful diabetes management and this can be achieved by using a blood glucose monitor. Sanofi is committed to delivering intelligent solutions and new technology that may have a positive impact on patients’ lives. RA: Do you think that mobile apps are set to transform healthcare and if so how do you think they will do so? JL: With innovation in healthcare technology rapidly developing, recent years have seen a boom in the number of ways patients can monitor their health. From blood pressure and cardiac monitors to appointment reminders and medication trackers, advances in mobile technology have the potential to improve healthcare delivery and make healthcare services more convenient for patients, the rise in use of mobile health technology is only in its infancy. However, apps and other mobile health technology should never replace a regular visit to a real-life doctor or nurse. RA: Sanofi also manufactures insulin. 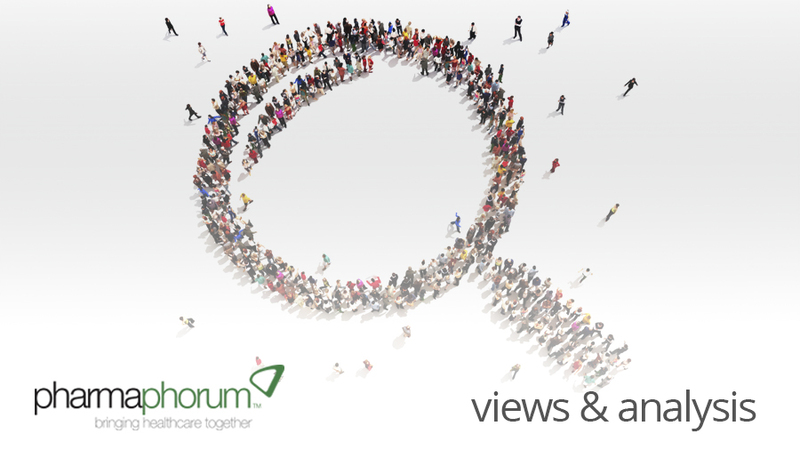 Do you think a combined approach to patients’ treatment needs is important and why? JL: We have adopted a portfolio approach to our marketing of iBGStar with patients at the centre of everything we do. We have gained a lot of insight into both patient and HCP needs within the area of diabetes and I feel this is strongly reflected in both the product attributes of iBGStar and the way that we are presenting the device. One example of this is the 24-hour support line that we offer, something that no other manufacturer currently has in the industry. RA: What have been some of the biggest challenges in creating this device? JL: I can’t take credit for the technical development of this device as this has been done by my global colleagues. From a UK marketing perspective, one of the key challenges was to be able to get healthcare professional endorsement and acceptance of this unique product and then how to use that to market the product using PR in a way typically used for consumer electronics. RA: How did you overcome them? JL: We worked with 50 key UK diabetes centers to give early access to iBGStar and gain feedback from both patients and Diabetes Specialist Nurses. This extremely positive feedback was used for the launch of iBGStar as I previously described, with a great response from the media – we received an unprecedented amount of coverage for the launch of a blood glucose meter. RA: What challenges might be associated with creating an Android version of this device? Again, I can’t claim credit for the technical development of our products but I anticipate the biggest barrier will be the physical connection, given that there are multiple mobile devices using Android. This would also influence the size and shape of any potential new model to connect to Android devices. Jason Lovatt is the Brand Lead Blood Glucose Monitoring, Sanofi UK and Ireland. Jason is currently marketing BGStar and iBGStar brands in the UK for Sanofi which launched in early 2012. He has 15 years experience in healthcare marketing which started in OTC medicines, includes pharma and focuses on medical devices for diabetes. He has gained UK and international experience from roles at Roche, Abbott, Lilly and Sanofi and has extensive strategic experience in both HCP and consumer / patient marketing. Areas of particular interest are CRM, patient segmentation and digital marketing. iBGStar is available to purchase at Boots stores nationwide and is also available on Boots.com. Are mobile apps set to transform healthcare?